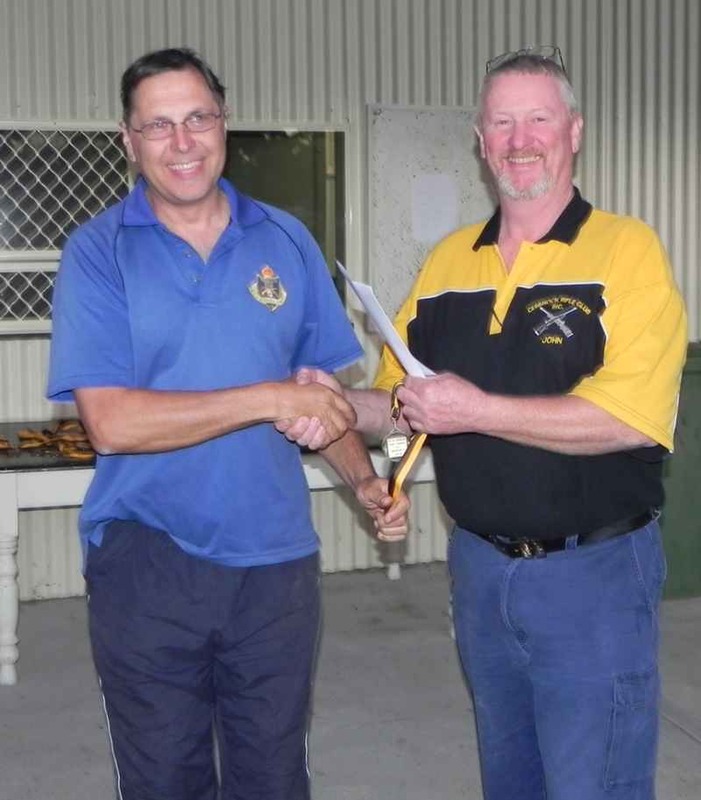 As we draw closer to the end of 2018, I thought it would be a good time to reflect on Roseville Rifle Club’s achievements over the past 12 months. One of the key issues the committee recognised twelve months ago was the need to drive membership, so we all felt that the foundation for this was the need to modernise the clubhouse which had become a little tired and outdated. 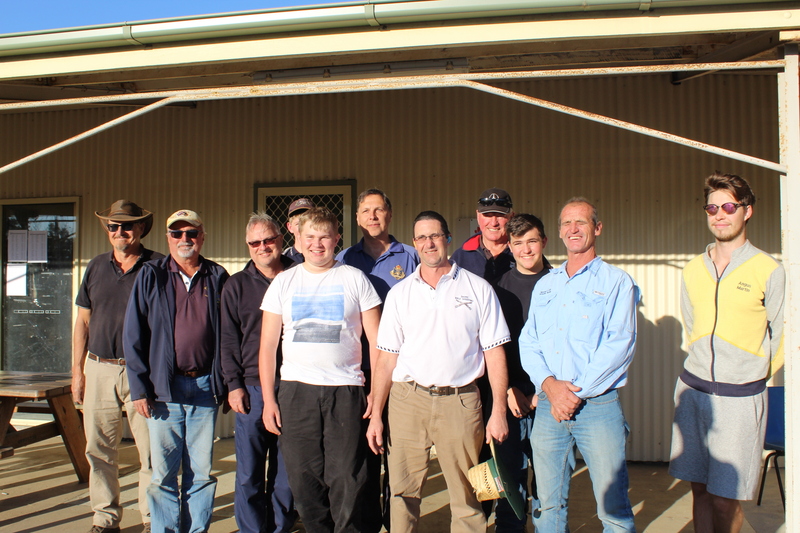 Through the tireless efforts of many members who either contributed financially or volunteered their labour, a number of significant improvements were made including creating a strong room, installation of a new kitchen (complete with new appliances), new floor coverings and a complete repaint of the internal areas of the clubhouse. The next stage of the refurbishment will commence in 2019 and include re-painting and re-cladding the external areas of the building. 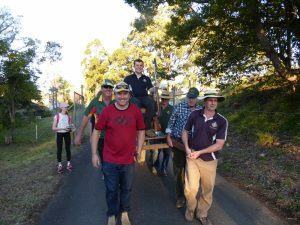 From a membership perspective a number of initiatives were employed including the creation of new committee role (Membership/Marketing Officer) which Peter Walters is championing. 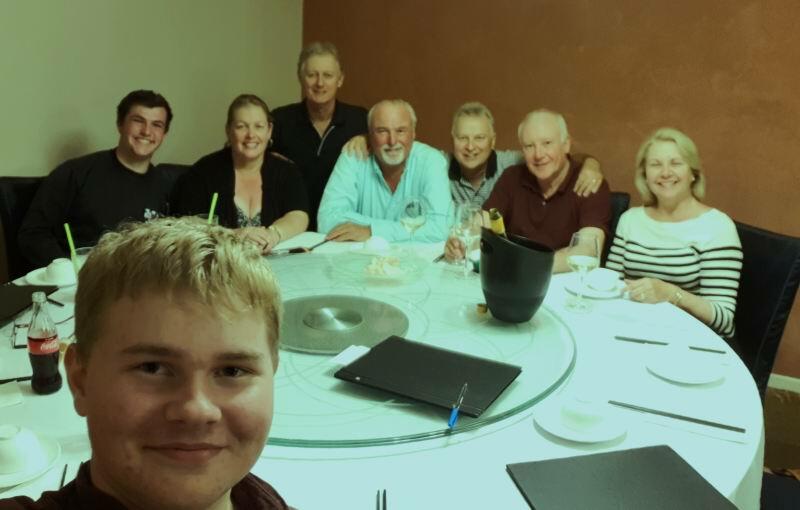 Peter has been working on a number of initiatives to improve visitor’s experiences and I am pleased to report that we continued to grow this year and are now on track to meet our objective of 50 members by June 30th 2019 – amongst these new members we had a significant proportion of younger shooters who have shown enthusiasm and good potential. Throughout 2018 many members participated in various OPMs, Queens and International competitions, as well as MDRA events and of course our own local Arn Hammond series. 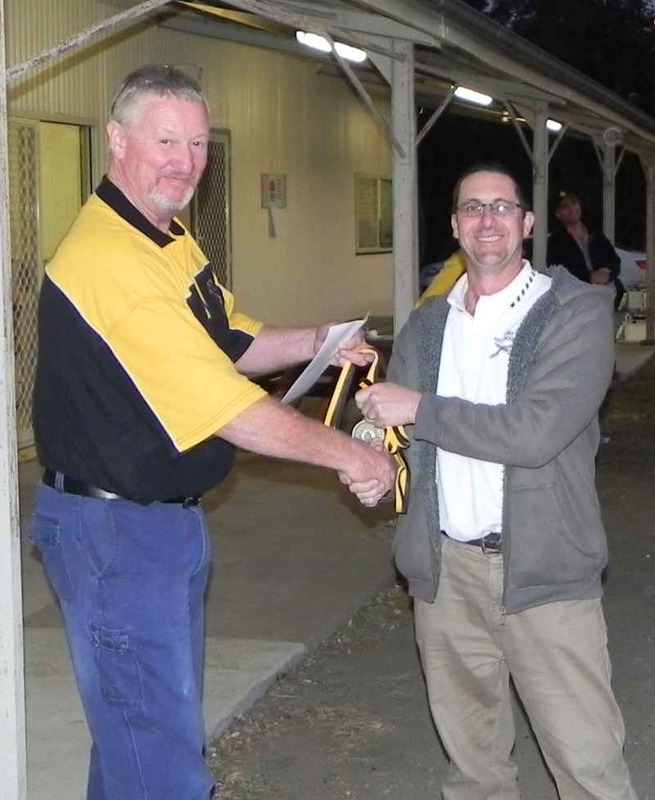 In many cases Roseville members distinguished themselves with lots of badges and medals being brought home throughout the course of the year. 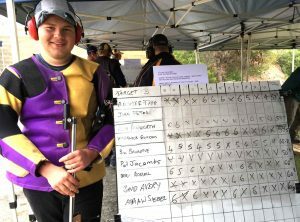 I recently looked at the national rankings for TR, FS and FTR and it was pleasing to note that a significant number of Roseville members are currently ranked amongst the top shooters in Australia. 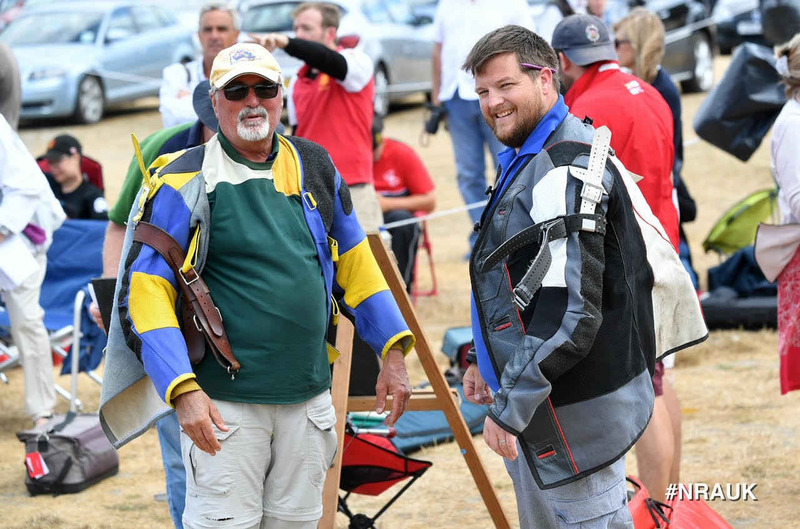 With the Long Range World Championships coming up in January/February 2019 in Trentham New Zealand, I am pleased to advise that the competitive spirit is flowing strong, with several members (Mark, Angus, Adam and Patrick) competing, so we wish them all the very best for this prestigious international event. 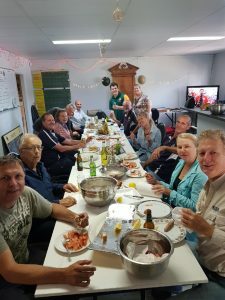 I think we can all agree that one of the main reasons that our club is so successful, is the level of comradely, friendship and cohesiveness that binds us together – we all love our shooting, enjoy each other’s company and freely share information and that is something to be proud of. I’d like to take this opportunity to thank Phill Hodder for all his time and effort over the years in his role as Club Captain – I have had very large shoes to fill, so I am so pleased that Phill took on the Vice-Captain’s role to assist in my transition into the role this year. I wish everyone a happy and safe Christmas and I look forward to seeing you on the range in early 2019! On Wednesday November 14, 3 Roseville representatives (Mark Buchanan, Adam Beale and Pat Jacombs) ventured onto the Canberra rifle range for a taste of their notoriously tricky wind conditions, shooting in the R A Rolph leadup event for the 2018 ACT Queens. Fortunately, for the first 2 days conditions were mostly favourable, which led to some good scoring. However, that was definitely the calm before the storm and the Queens event delivered everything that the pundits had predicted! Pat’s NRAA ranking prior to the event had moved him into A Grade, so he was feeling a bit of extra pressure to perform, now that he was joining Mark with the “Big Boys”! 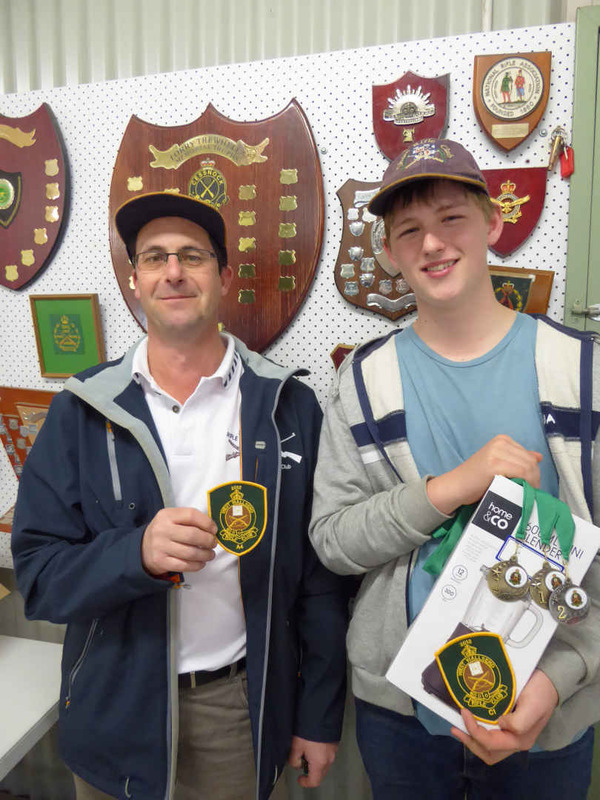 In the lead-up event there were 38 competitors in A Grade and 23 in B Grade. 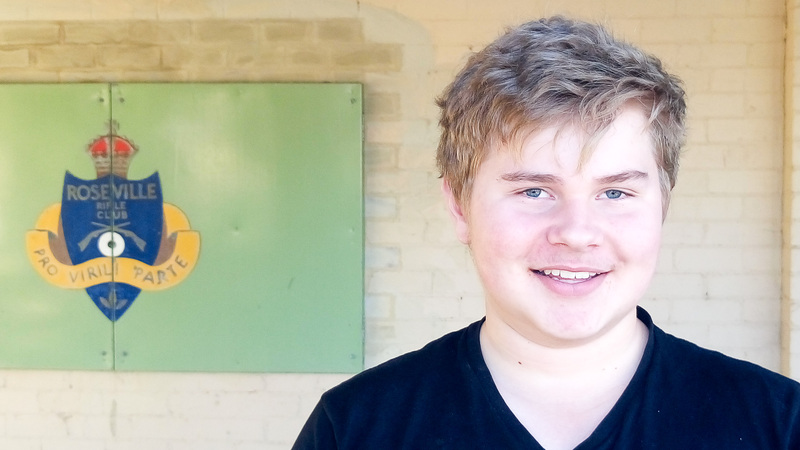 Adam competed in B Grade. 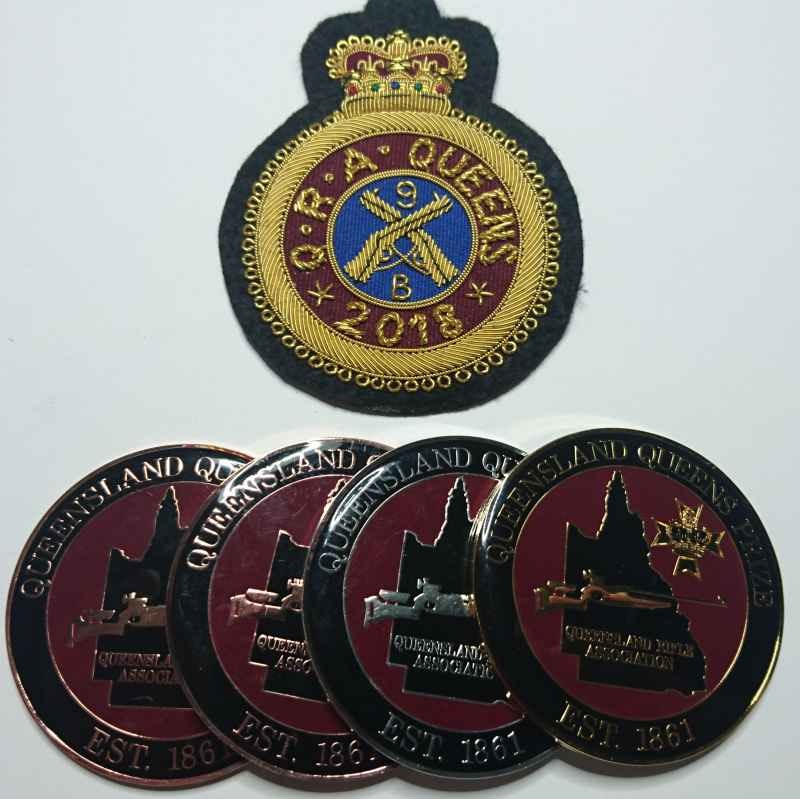 On Friday November 16, Mark, Adam and Pat were joined by Tim Walter (TR/A), Peter Walters and Michael Cuda (F Std/A), and Gary Faulkner, Eva Patrick and Alan Patrick (FTR/A) for the Queens event. 69 competitors lined up in TR/A Grade, 32 in TR/B Grade, 56 in F Std/A and 18 in FTR/A. Conditions weren’t too demanding for the start of the day, but things were about to start heading south! On Saturday, the wind really started to make its presence felt, swirling in from the south-west and moving around like a washing machine as it moved up the range. The flags were regularly facing opposite directions to each other. The more experienced shooters were better placed to handle these vagaries and the less-experienced shooters found the going really tough. The loss of a target during the morning session meant very slow progress on the mound and then a brief storm at lunchtime forced the 2 x 10 shot 800m matches to be reduced initially to 1 x 15 shot match, and then to a single 10 shot match. Sunday was about to put the icing on the cake with some truly bizarre wind conditions for 2 final matches at 600m. In the Grand Aggregate, Adam was placed 2nd (just one point behind the winner) and Mark was placed 3rd. 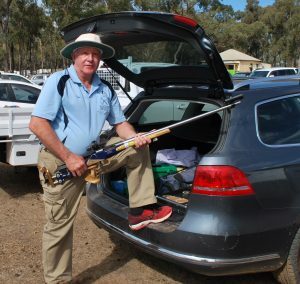 On a side note, Phil Jacombs discovered a family connection to the Bungendore Rifle Club that has been unknown for over 100 years. If you have a few minutes, ask him about it! 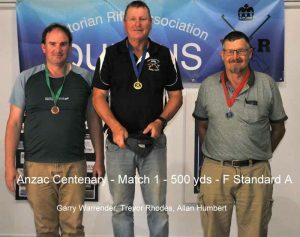 RRC fielded over half of all the TR-A competitors (Mark Buchanan, Dmitri Kazakov, Phill Hodder, Steve Tofler represented RRC). On Day 1 TR-B was 100% Roseville (Pat Jacombs, Mike Hodder, Adam Beale represented RRC) although a couple of more from outside joined in TR-B fun on day 2. 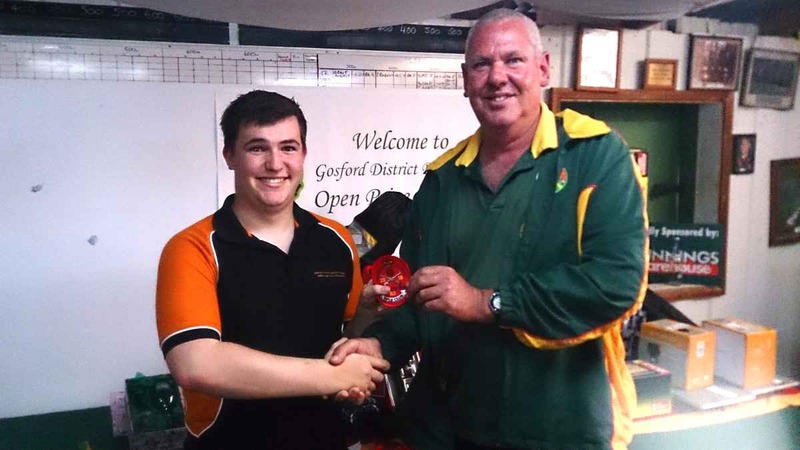 It was also good to see new member Sam Houston shooting in C-Grade – well done Sam! In F-Class, we had a strong FTR showing with Gary Faulkner, Alan Patrick and Eva Patrick; in FS-A Peter Walters and Michael Cuda were stars; and Janet Beale had fun in FS-B (thanks to loan equipment from Jon Marriott). The weather obliged, it was hot and sunny with mirage and a slight breeze to contend with. Every single shooter from RRC took out at least a 1st, 2nd or 3rd place in their respective class/grade for a detail. Well done to all our shooters who showed how strong and supportive a club we are! 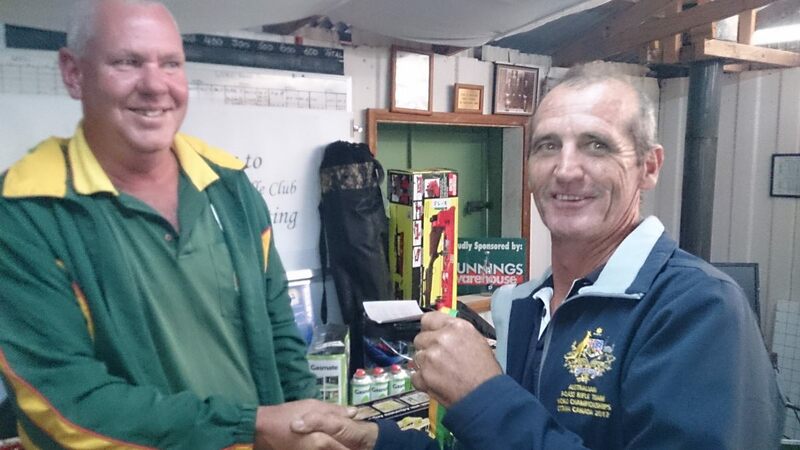 Special congrats to Mark Buchanan who took home the prize of a new barrel for being the top shooter! 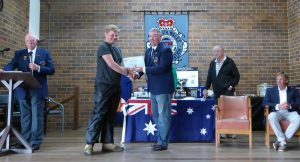 Also, congrats to Pat who took home top Junior Shooter and who now moves to A grade in the NRAA database just in time for the Canberra Queens! And a big thank you to Allan Humbert who spent the two days inputting all the stats on the NRAA score system, thanks Allan! Yes, you read that right 8 possibles and a probable out of 12 details in Target Rifle and 5 possibles in F Class! Really great shooting by Roseville! So how did Roseville place? 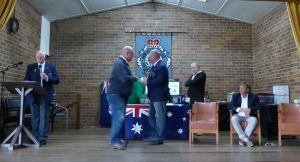 Our members took home a lot of range prizes for each detail and in aggregate they did very well indeed…..
What a great outcome for Roseville; and our Gosford hosts were very generous with the various medals, badges and prizes on offer. Well done all; and special congrats to Pat for his “King of the Range” and probable! 1 FS/A shooter (Michael Cuda) and 1 FTR shooter (Gary Faulkner). Quite a few of the Australian team representatives were there (Palma, U25 and U21) as all teams are beginning to gear up for the World Competition in Jan 2019 so the competition was a very high calibre indeed. This year, all scoring reverted to manual targets due to issues last year with the Konsberg electronic targets. However, the conditions were challenging to say the least with high winds and rain (heavy at times) which caused issues with the manual targets (inability to read the markers at a distance and stickers falling off the paper targets). As such, the organisers reverted to a modified program of 11 details instead of the normal 16 details and one whole day of competition was cancelled due to the shocking weather. Queens > 700m (first detail) Angus came 8th despite scoring a possible 50-3! Pat also took home the top High School Shooter prize. Well done to our RRC competitors in very challenging circumstance. Adam Beale and Pat Jacombs have been selected in their first National Team as members in the Australian U21 Team to compete in Trentham, NZ early 2019. This is a fantastic achievement and shows the determination and focus both boys have! As well as Adam and Pat, Angus Martin will be involved with the Australian U25 Team and also Mark Buchanan in the Australian Veterans Team. 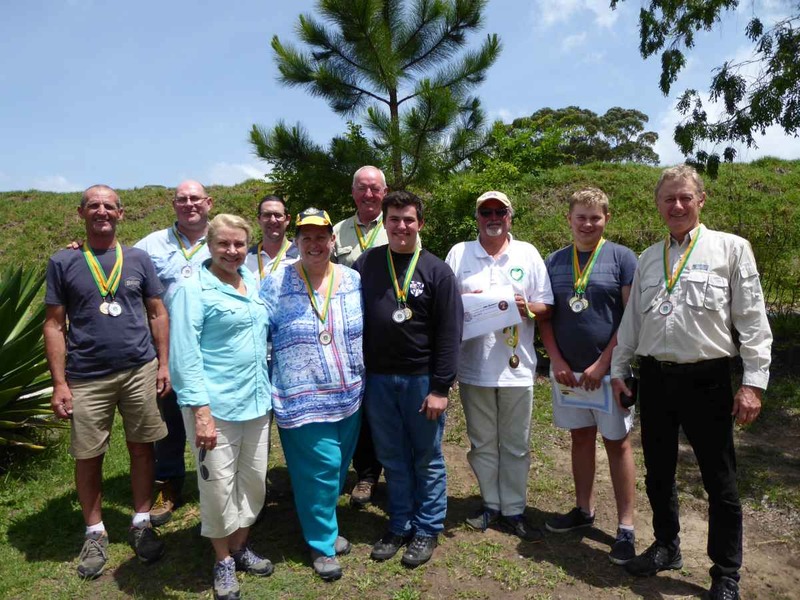 This championship will be held in New Zealand from 24 Jan – 11 Feb 2019 and will incorporate Junior and Veteran team shooting, the NZ National Championships, the World Long Range Championships, and the most prestigious teams match in shooting , The Palma. 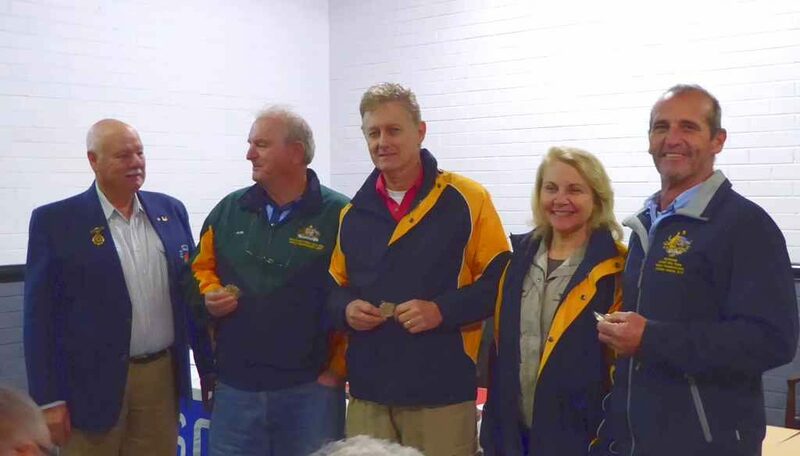 This is very impressive for Roseville Rifle Club having 4 members competing in these events representing Australia all the way through the age brackets from juniors to seniors. We wish all the shooters the best of luck and many “V” Bulls. 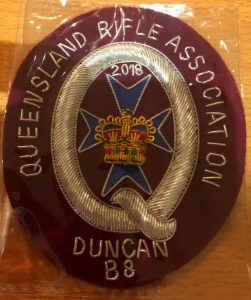 Queensland Rifle Association Championships – 2018. 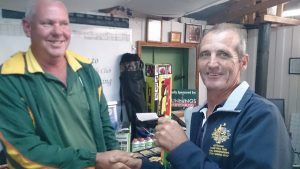 Dmitri Kazakov and Tim Walter attended the Queensland Championships held at Belmont Rifle Range between 7 and 11 August 2018. Pat Jacombs joined later and shot the Queens Prize accompanied by his father, Phil Jacombs. 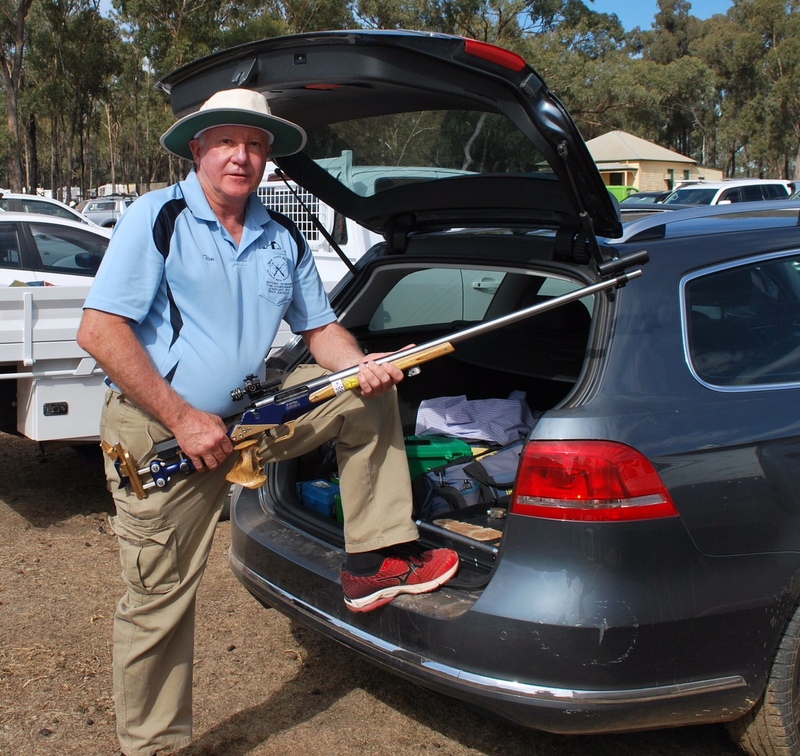 Dmitri Kazakov arrived one day earlier and shot Archer Trophy & F Class Challenge 2018 15 shoots match at 1000 yard. He managed to get first place in B grade and second in competition getting the valuable prize. Dmitri, Tim and Pat all shot TR B Grade. Dmitri lost 5 points at 500y by traditionally shooting his last shot as V on the wrong target. However he managed to recover at the end getting the first place and gold medal for second 600y range. For a moment, we thought Roseville had a new member, when we spotted one of the Japanese competitors in a Roseville Shirt and cap! At the last range the Roseville members were devastated by constantly changing wind direction. In combination with limited experience at long distance shooting under windy condition this significantly affected their final results. 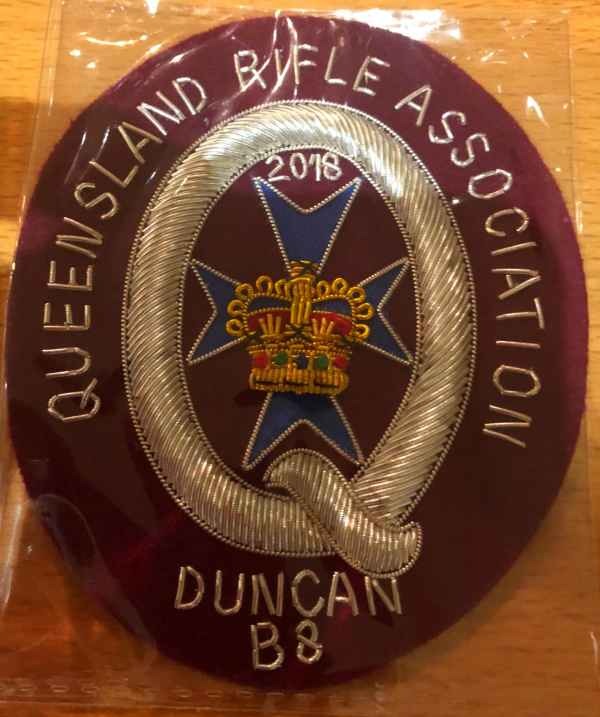 Dmitri came third at 900 yards in the Duncan and was placed 9th in the Queens to receive a badge. 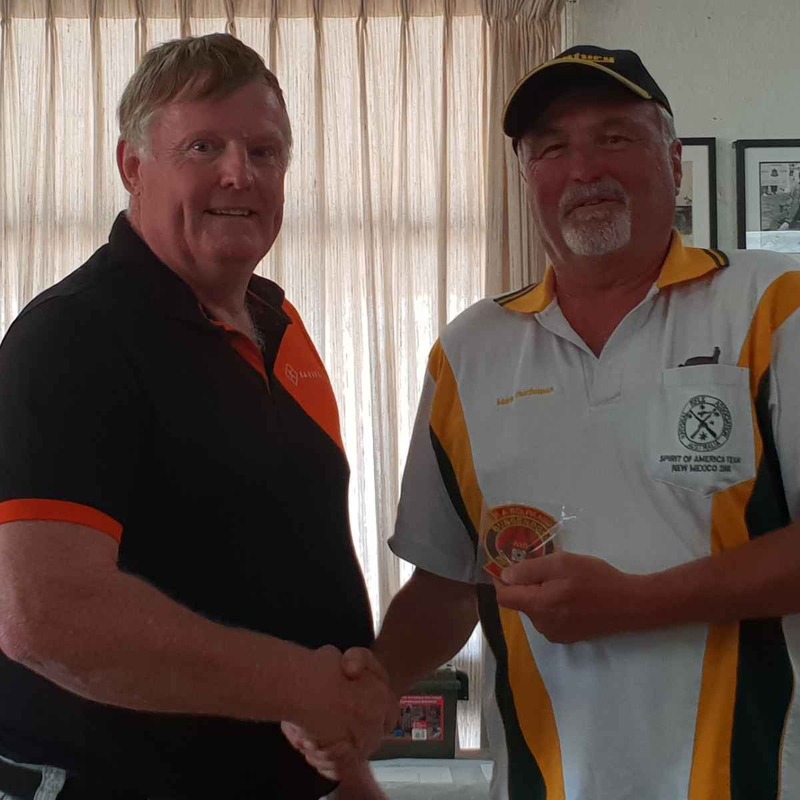 Tim received 8th Badge in the Duncan Aggregate and a Gold Medal for winning the second 900 yards on Day 2 of the Queens. Pat was shooting his first Queens and he did very well overall, particularly given his limited experience at long ranges to date. Rosevillians brought back home a lot of toffees this time. Mark Buchanan finishes in 4th place at H.M. Queens Prize, Bisley 2018! 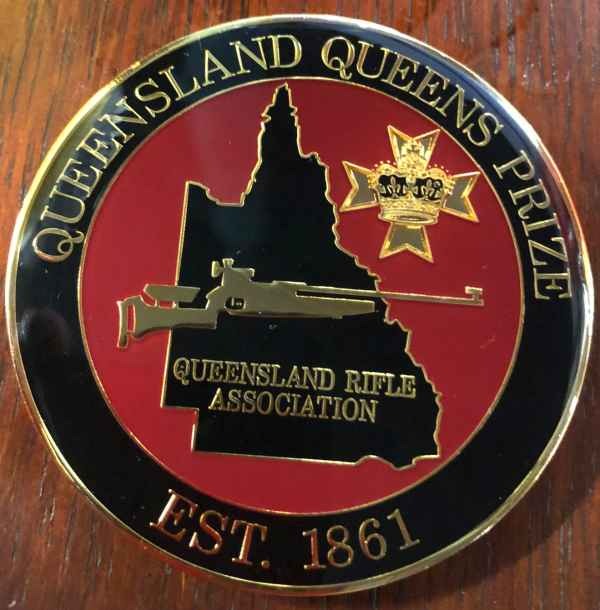 In an astonishing display of marksmanship, Mark Buchanan top scored in the Queens Prize Stage III Final, shooting 134.10 over 900 yards and 1000 yards, to give him a total Aggregate of 280.24. This placed him 4th in H.M. Queens Prize, Bisley 2018, only one point and five centres behind the winner, David Luckman on 281.29. Mark was also only one centre behind both Matt Button and the great Parag Patel who shot off for second and third place with 280.25 each. 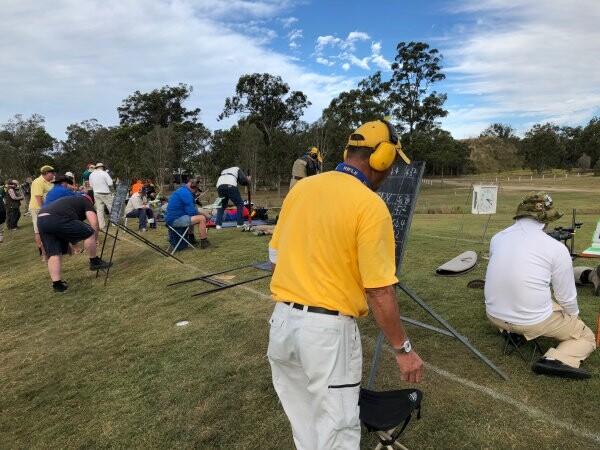 Conditions were extremely difficult with strong and variable winds racing across Stickledown range for both shoots at 900 yards and 1000 yards. Mark shot 65.4 at 900 yards and 69.6 at 1000 yards, his 69.6 being the highest score shot at 1000 yards on the day – by three points! Mark had shot 102.10 in Stage I to qualify for Stage 2, where he scored 146.14, placing him in 54th position. 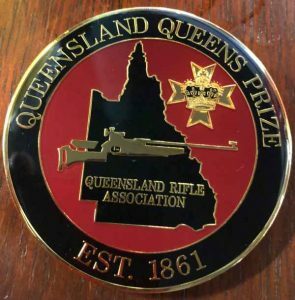 This effectively gave David Luckman, this year’s Commonwealth Games Gold medalist and arguably the best rifle shooter in the world at the moment, a 3 point lead going into Stage III, as David had scored 149.20 in Stage II placing him in 3rd position. Luckman took a further 3 points lead over Mark at 900 yards shooting 68.6 to Mark’s 65.4, but Mark piled on t he pressure at 1000 yards with his 69.6. Luckman replied with 64.3, which was enough for him to finish just one point ahead of Mark and to win H.M. Queens Prize for 2018. 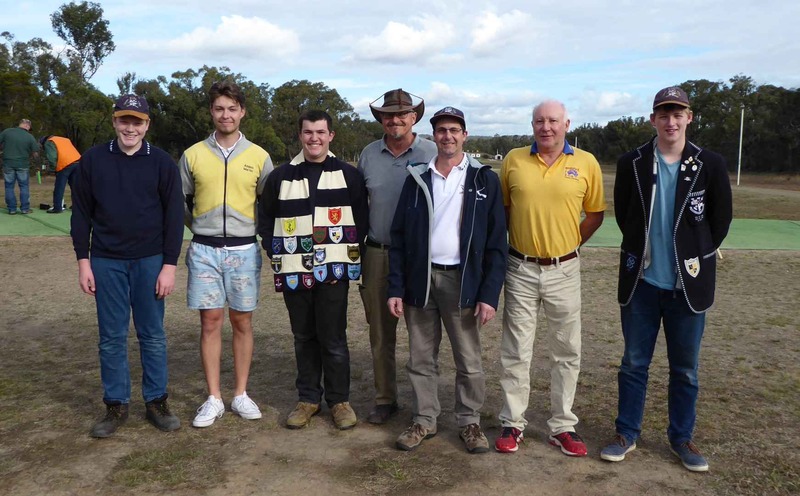 Mark was the top scorer of a sizeable Australian contingent and congratulations must also go to James Corbett who finished 5th with 279.32 and Angus Bell who finished 9th with 279.16. Mark Horsnell finished 52nd with 271.18. Well done mark! Associate member Keirin McCamley was unlucky to finish Stage II with 144.15 in 108th position, missing out on a place in the Final by 1 point and 3 centres. James Corbett was unfortunate in that he went into the final with 148.23 and shot a brilliant 70.6 at 900 yards to put him in the lead, only to finish with 61.3 at 1000 yards, thus indicating the extreme difficulty of the conditions on the day. Mark’s 4th place is his best performance at Bisley so far and a just reward for many years of dedication and application. UK Queens results are HERE. Well done Mark! You have done yourself, your club and your country proud. 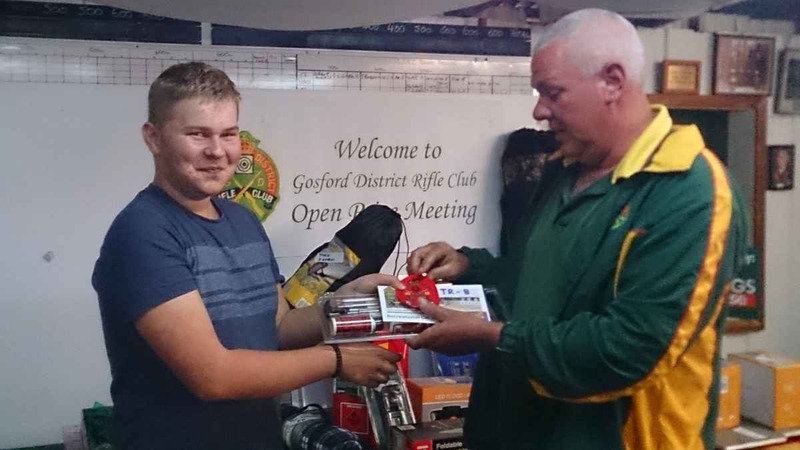 Roseville had some busy shooters this weekend (15-16 July)… and before going into the details I want to thank Mike Hodder who did all the hand-loads for some RRC junior shooters (due to the factory ammo shortage). 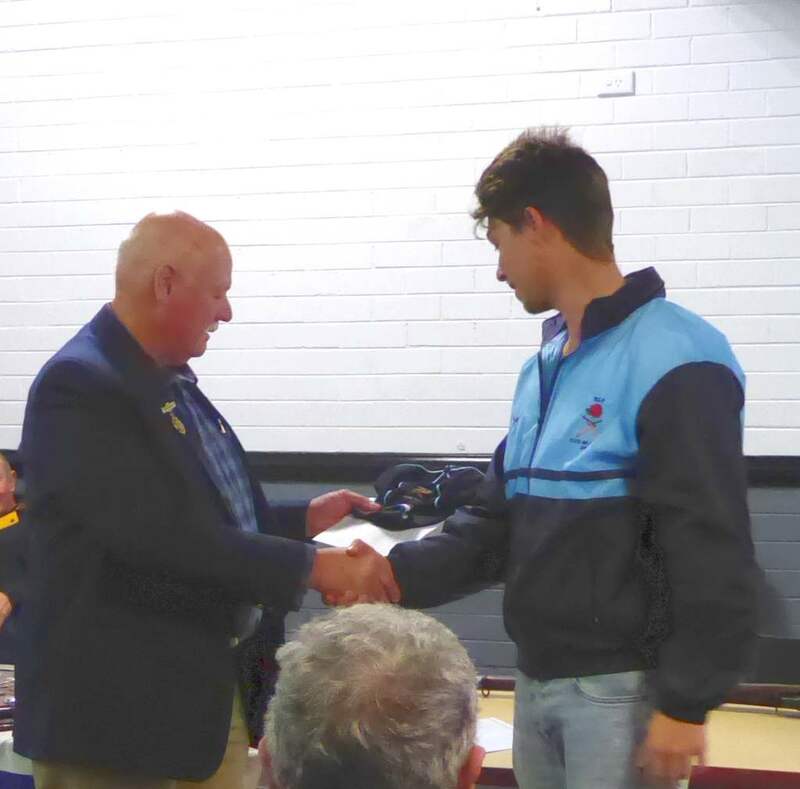 We also want to send hearty congratulations to Angus Martin who was also selected for the NSW State Team and received his numbered cap! Well done Angus!!! o Gary Faulkner (FTR): scored 147.13 <<< part of winning team! o Alan Patrick (FTR): scored 144.10 <<< part of winning team! o Eva Patrick (FTR): scored 142.10 <<< part of winning team! While the NSDRA teams shot admirably, it was only the NSDRA FTR team who came home with winners prizes. Congrats to Gary, Alan, Eva and the rest of their NSDRA team! 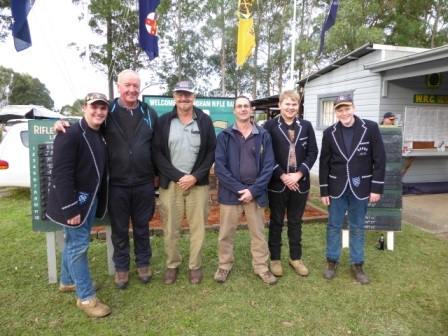 NS W Rifle Association’s City vs Country match was also held at Malabar starting in the morning (brrr very cold!) with 2+10 at 500m and 600m, and finished in the afternoon with 2+10 at 700m and 800m using manual targets. As you will see below, Roseville had a lot of representatives there which shows what a great, vibrant and active club we have. The day had its issues (e.g. Pat lying down to shoot on a colony of ants and being bitten and having to move, Adam having only a few minutes to do his first detail due to team running out of time, mechanical target D6 was not working properly affecting Dmitri’s shoot etc) but overall everyone enjoyed themselves. 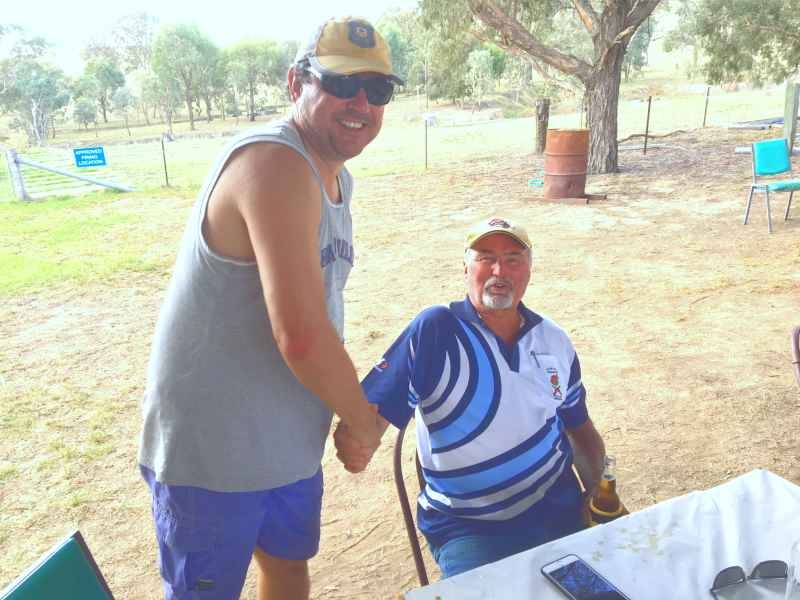 o Angus Martin (City TR) scored an impressive 200.24…..and was top scorer of the day! o Gary Faulkner (City FTR): scored 236.16 <<< part of winning team! o Alan Patrick (City FTR): scored 230.17 <<< part of winning team! o Eva Patrick (City FTR): scored 221.6 <<< part of winning team! 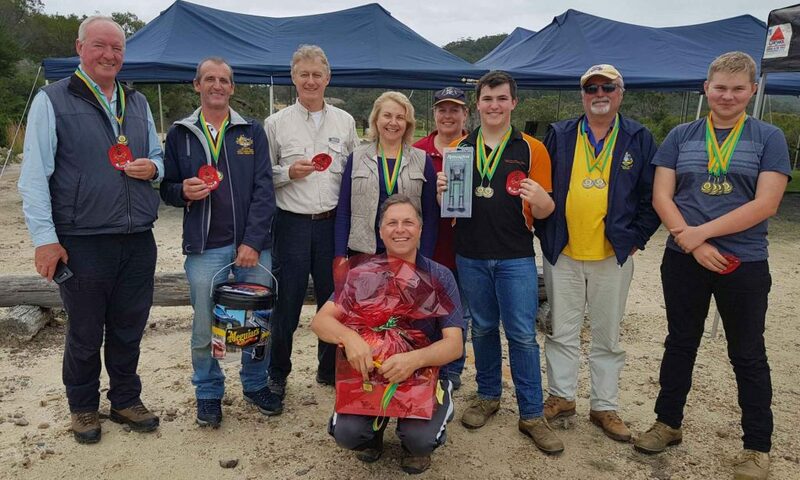 All in all the RRC members did a great job in their respective teams – well done to one and all with special congrats to Angus M, Pat, Gary, Alan, and Eva for making it to the podium and coming home winners. 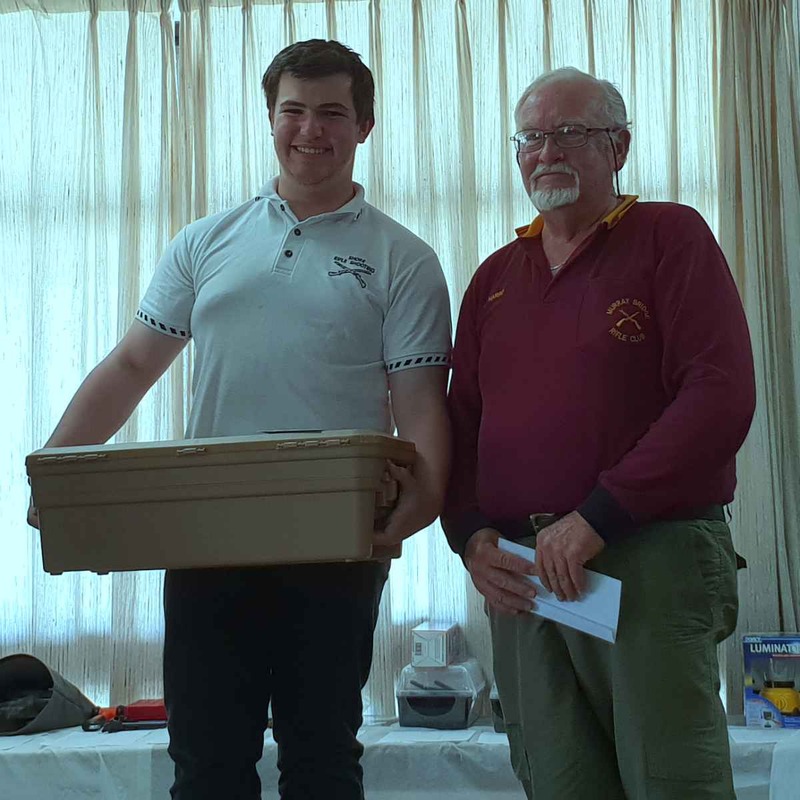 The West Wallsend Open Prize Meeting was held on Sunday, 1st July which was a beautiful but a bit chilly day ….rifle shooting is a good way to start the new financial year! There were 53 shooters competing across the various disciplines and the order of the day was 2+10 at 500yds, 2+10 at 600yds and 2+10 at 600yds. 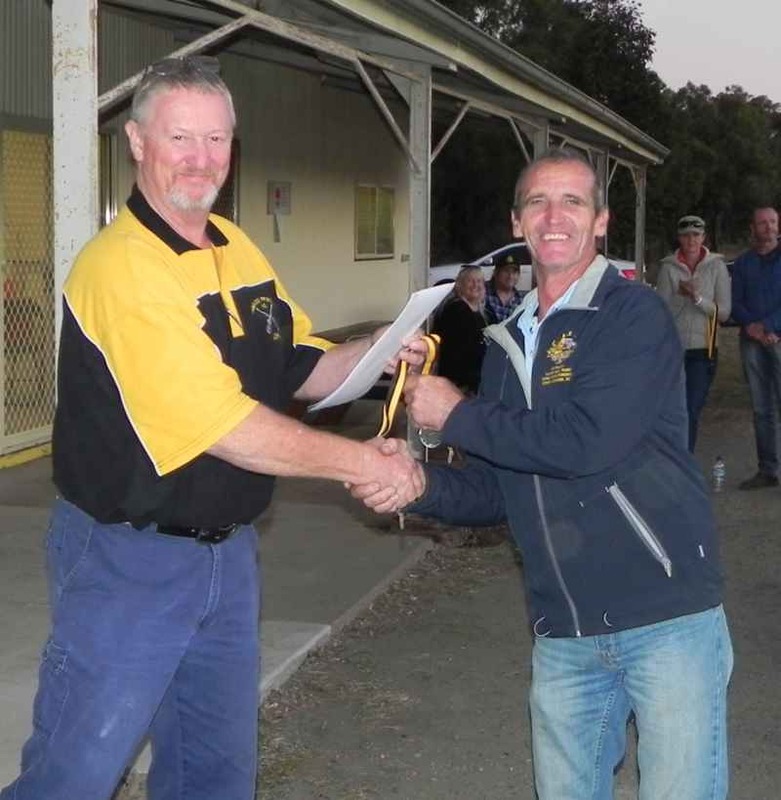 The intrepid Roseville shooters were Phill Hodder, Angus Martin and Tim Walter in A grade; Adam Beale in B grade; Angus Langsford in C grade and Alan Humbert in F-Standard A grade. 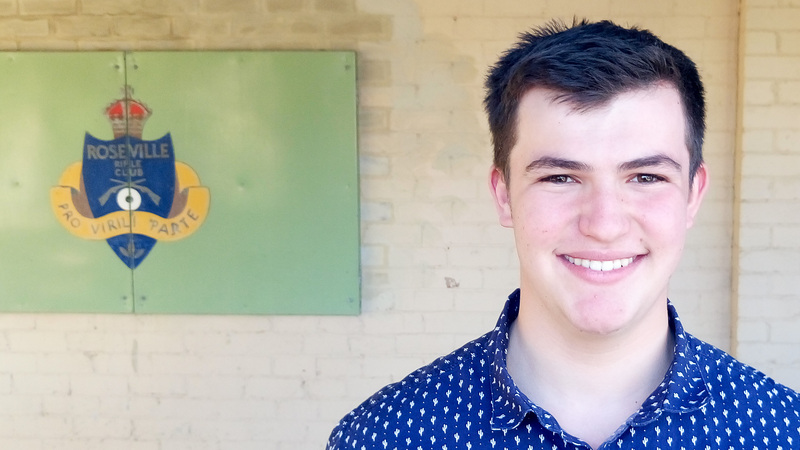 Similar to the Wingham OPM, Alex Macaulay (B grade) was an “adopted Rosevillian” for the day because he shoots with Shore School with our other junior shooters. Angus Martin shot his first 50 with 10!! CONGRATS Angus you have nerves of steel!! 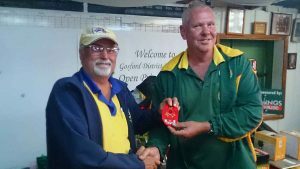 Phill Hodder came 4th at 600 yds and 4th in aggregate score in A Grade. Angus Langsford: 144-11 (96% accuracy)… this should mean he is now moving to B-grade! So I think you can see Roseville was well represented particularly as almost 50% of the top 4 in each grade/discipline have this range as their home range which would provide them some sort of “home advantage”. Congrats to all! And so, it came to pass, after about 50 weeks of Club competitions, that the best from each club was assembled to do battle to find the best of the best. Competitors and club members assembled just after high noon. The frogs were started. 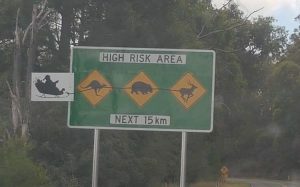 Blackboards placed in strategic positions. The Hexta targets were prepared with new aiming marks. The air was electric with anticipation. The field of fire was 2 + 10 shots each at 3, 5, and 700M with a 2+15 at 800M. The F class shooters were first to step up for a 1pm start. Michael (Barra) Cuda our Champion with 1765.144 ex 1800.300 was not available to shoot as he was at the Belmont Range (QLD) for the Nationals. 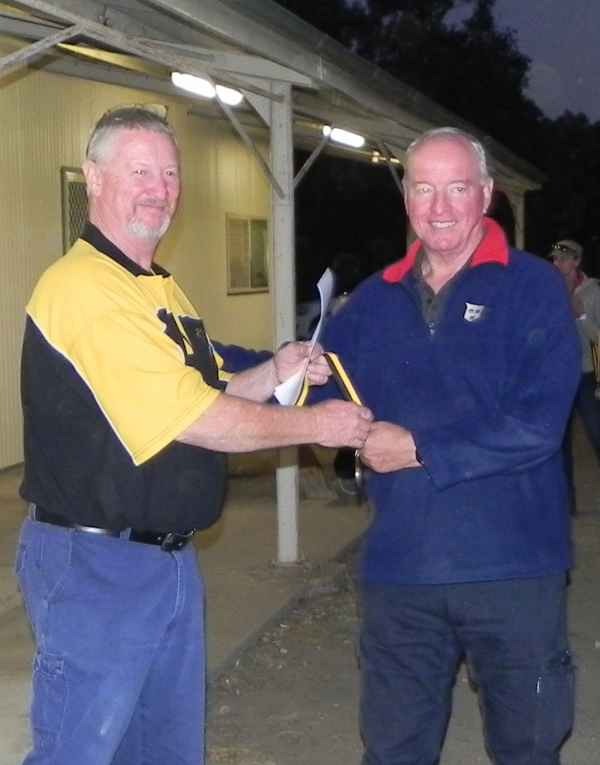 Alan Ashworth took out F-Std-A clean, with 270.33 from Terry Howell (North Sydney) 268.17. 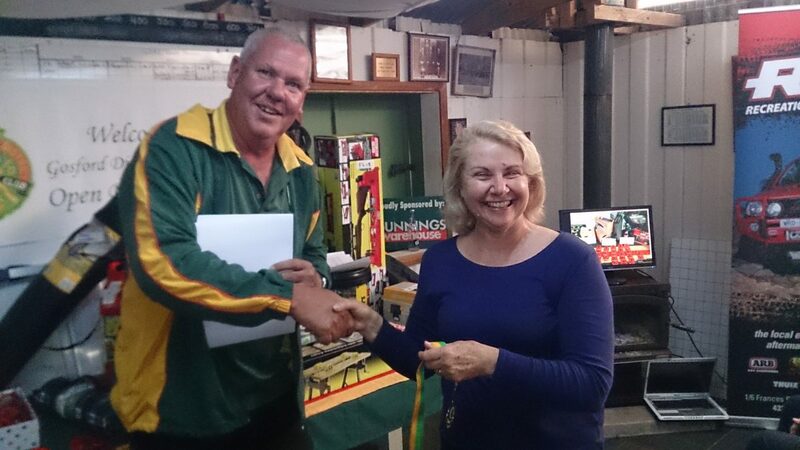 F-TR-A winner was Alan Bowyer-Tagg (Hornsby RSL) with 263.19 from Sandy Mansfield (Manly) 245.11. 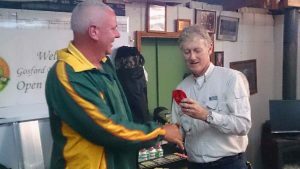 Roseville were represented by Phill Hodder (Club Senior Champion 1483.158) and Adam Beale (Under 25 Champion 1210.87) in Target Rifle. Conditions were excellent for the first three ranges with fine, light overcast and virtually no wind. At 800M the wind picked up a little with a bit of a fish tail. The low sun became much more of a problem making sighting difficult. 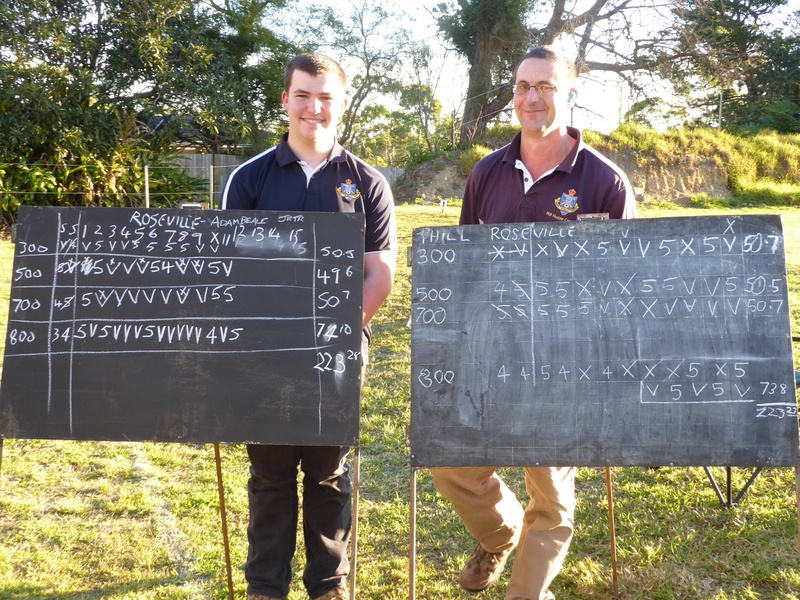 After 45 counting shots, Adam took out both the Under 25 and Top Overall Shooter with an excellent 223.28 (50.5, 49.6, 50.7 & 74.10, one centre ahead of Phill 223.27 (50.7, 50.5, 50.7 & 73.8). Adam was 6.11 points ahead of Angus Mansfield. Competition was intense, and it came down to the wire; the last range. A demanding 15 shots at 800M with the lowering sun cause sighting problems on the targets. 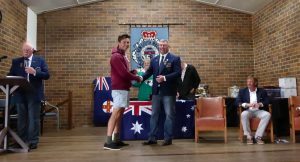 Phill’s win was against strong opposition, succeeding to beat Bill Ballantyne (Hornsby RSL) by 4 centres, JR Mitchell (Hornsby) by 1.4, Richard Jones (Manly) by 1.5 and Grant Roberts 8.11. 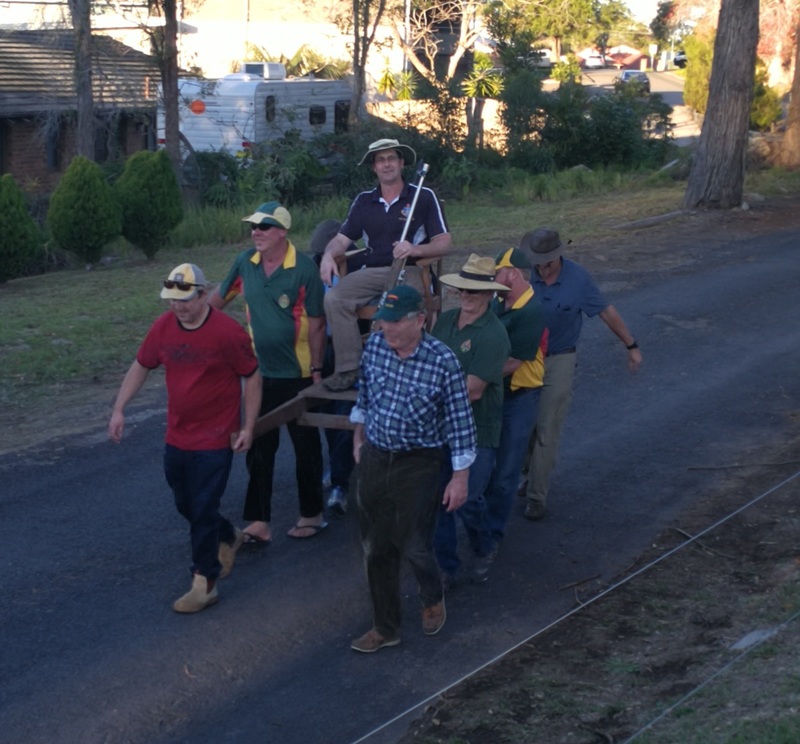 Thanks go to Vern Norrgard (Range Officer), Doug Bowen (Butts Officer), Adrian Bonanni (Statistics) and several others from various clubs who helped make the competition work. Special thanks to Allan Humbert who single handily repaired the front and rear centre rubbers. Photos Janet Beale and Uncle Mike. On Friday 8 June, various Roseville RC’s representatives (Dmitri Kazakov, Phill Hodder, Peter Walters, Tim Walter, Allan Humbert, Eva Patrick, Alan Patrick, Adam Beale and Pat Jacombs) made their way to Wingham for the Open Prize Meeting. Alas, all the RRC entrants were not there on the final day (Sunday) with Dmitri leaving early due to back problems and the Patricks leaving early due to illness. The competition consisted of Friday’s practice day with a sweepstakes competition, then on Saturday 3 x 10 shot matches at 400m, 500yds, 600yds, then on Sunday, 2×10 shot matches at 500yds and 600yds, followed by a 15 shot match at 600yds (with a concurrent pairs match of A Grade and school shooter). Phill had double duties as he was both competing and also helping the Shore School competitors (Adam, Pat and Alex). The range was full with over 100 competitors but, to the credit of the organisers, the competition flowed very well despite clouds that threatened but did not deliver much rain. 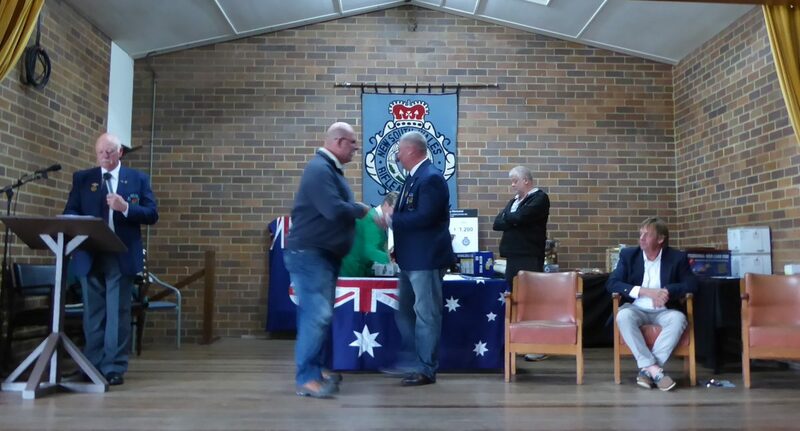 Overall, Roseville members acquitted themselves superbly with Allan Humbert, Peter Walters, Pat Jacombs and Adam Beale all receiving multiple awards. 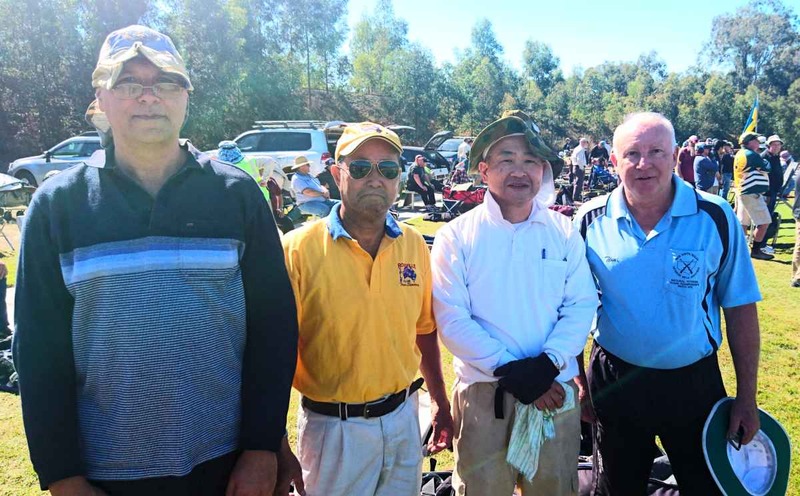 Some of our A grade competitors (Phill, Alan, Tim, Eva) competed very well but were up against very stiff competition. For example, in the TR competition there were 3 scorers in A grade who scored 325 out of a possible maximum 325 and in F-Standard two people scored 389 out of a maximum 390! Tough indeed – but well done to Phill, Alan, Tim and Eva for competing so admirably. Day 2: 2nd at 500yds, 1st at 600yds (10-shot match) and took home the Aggregate Day 2 second place prize for FSA. Day 1: 2nd at 400m, 3rd at 600m and took home the Aggregate Day 1 third place prize for FSA. 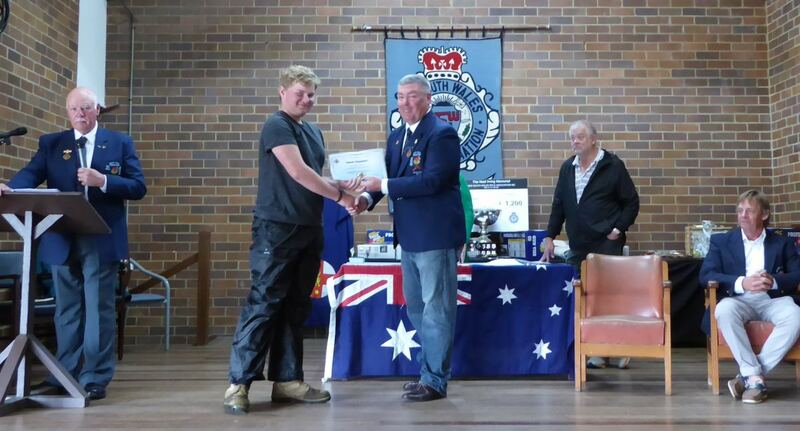 Day 1: Top scored in C Grade at 400m, 500yds, 600yds, and took home the Aggregate Day 1 first place prize for C Grade. Promoted to B Grade on completion of the competition! Arriving at Cessnock on Sunday morning we were greeted by clear skies, no wind and what promised to be great shooting conditions. Anticipation of a good day’s shooting was in the air. 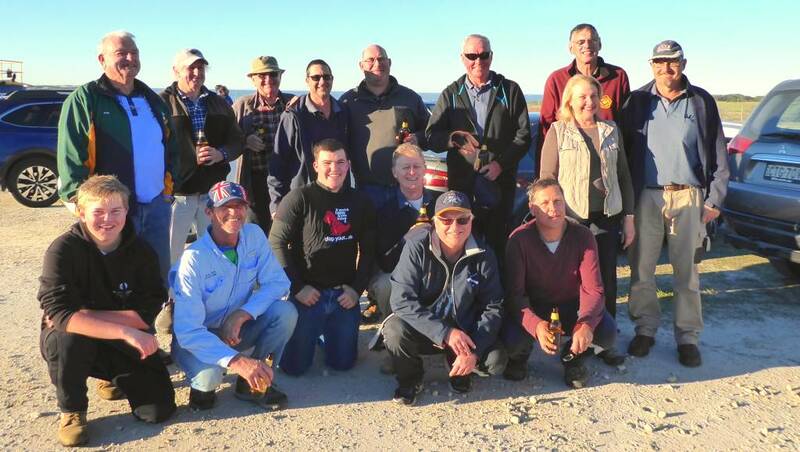 Roseville was well represented by Mark Buchanan, Dmitri Kazakov, Phill Hodder, Peter Walters, Gary Faulkner, Angus Martin, Allan Humbert, and the “Junior Rosevillians” of Adam Beale, Angus Langsford and Pat Jacombs, also wearing their Shore school Mac Caps. Dmitri’s day didn’t start as planned as he had left his target rifle bolt at home, so he decided to tackle F Class for the day sharing Gary’s rifle (on top of his other role, “babysitting” the newly-installed Hexta system!). The competition consisted of 3 x 10 shot matches at 600yds. 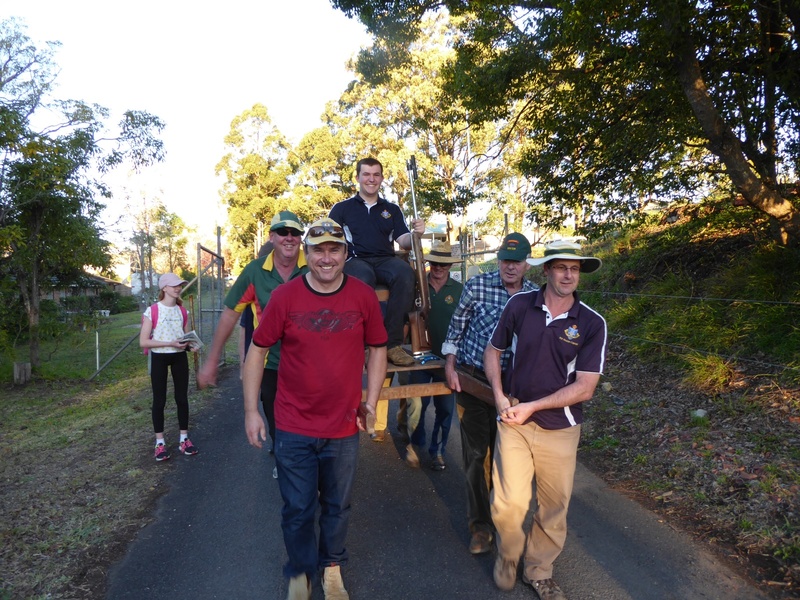 With the arrival of Sydney High bus and 22 student shooters, the range was full to overflowing and consequently some lanes took a long time to get through their matches. The decision was made early on to roll over the matches on each target, as moving everyone to a different target was going to prove impossible. One lane was moving so slowly that organisers had to spread their final match over the remaining lanes, as each lane became free, otherwise they would have run out of daylight! 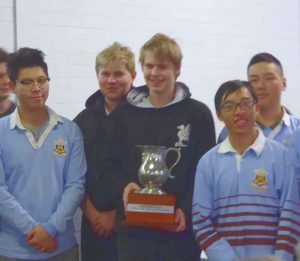 Overall, Roseville members acquitted themselves well, with 2nd, 3rd and 4th place in A Grade TR going to Mark, Angus and Phill; 2nd, 4th and 5th places in A Grade F-Std going to Gary, Peter and Allan; 7th place to Adam in B Grade TR; 4th place in B Grade F-Std going to Dmitri; and 1th and 4th place in C Grade TR going to Pat and Angus. Pat has now won C Grade at his last 2 OPMs. 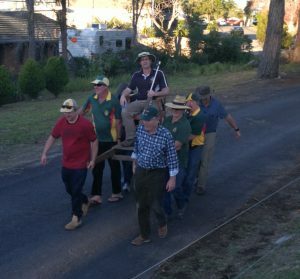 Mark Buchanan, Tim Walter and Allan Humbert attended the Victorian Championships held at Bendigo between 18 and 22 April 2018. 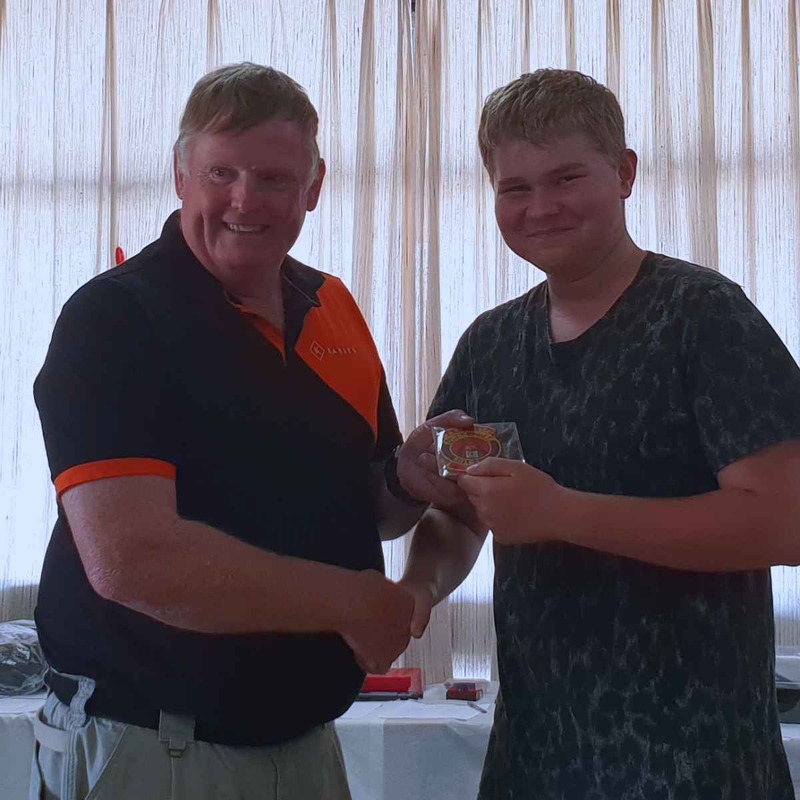 Mark shot particularly well during the Syme, finishing in 4th place, winning one range and finishing second, third, fourth and fifth at others. Mark opened strongly in the Queens on Day 1 with a 50.9 and a 50.7 at 500 yards, but finished with a 48.4 at 600 yards to be 16th on the Board. Mark shot a solid 148.17 on Day 2 and an equally solid 98.11 on Day 3, which included a 49.7 at 1000 yards. Mark’s score of 394.48 in the Queens placed him 12th overall and 692.84 saw him finish in 4th place in the Grand Championship. Tim entered A grade although entitled to shoot B grade. Had he shot in B grade and shot the same scores, he would have won Day 1 of the Syme, won the Syme Aggregate by 2 points, placed 10th in the Queens and come second in the Grand Championship! Allan shot in F Standard A and started the Syme in blistering form, coming second on Day 1 with 176.10. Day 1 and Day 2 of the Queens saw some good scores, and Day 3 saw a very good 57.4 at 1000 yards to finish 4th at that range. 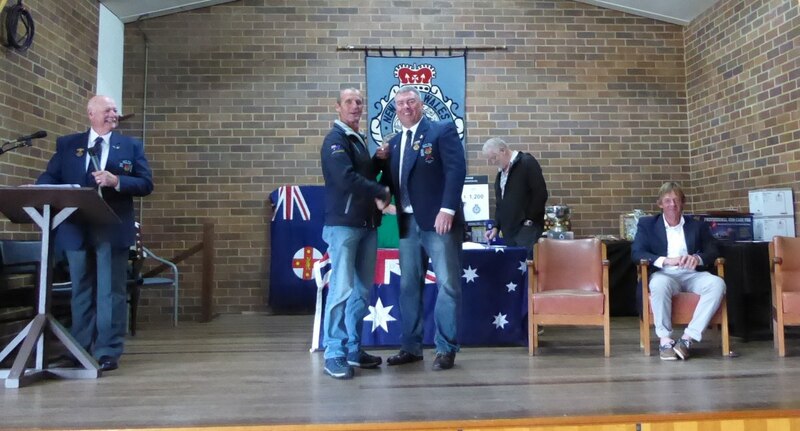 Allan finished 12th in the Syme, 13th in the Queens and 10th in the Grand Aggregate. Duncan Davies won the Queens with 399.47 and the redoubtable James Corbett won the Grand Championship with 695.76. Congratulations to both, especially to Duncan on winning his first Queens!